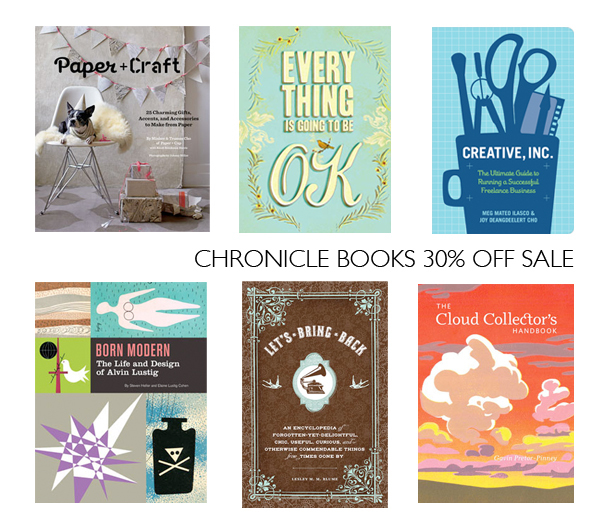 It is that time of year again when Chronicle Books is having one of the killer sales with 30% off plus free ground shipping, now through 4/4/11 use promo code SPRING11 at checkout. thank you, thank you for posting this! chronicle books has some great stuff out there - time to get shopping!